3  that CRAIG CANADA was engaging in the cultivation of marijuana. 6       The Compassionate Use Act of 1996 (H&S 11362.5) ensures " . . .
9   are not subject to criminal prosecution or sanction." 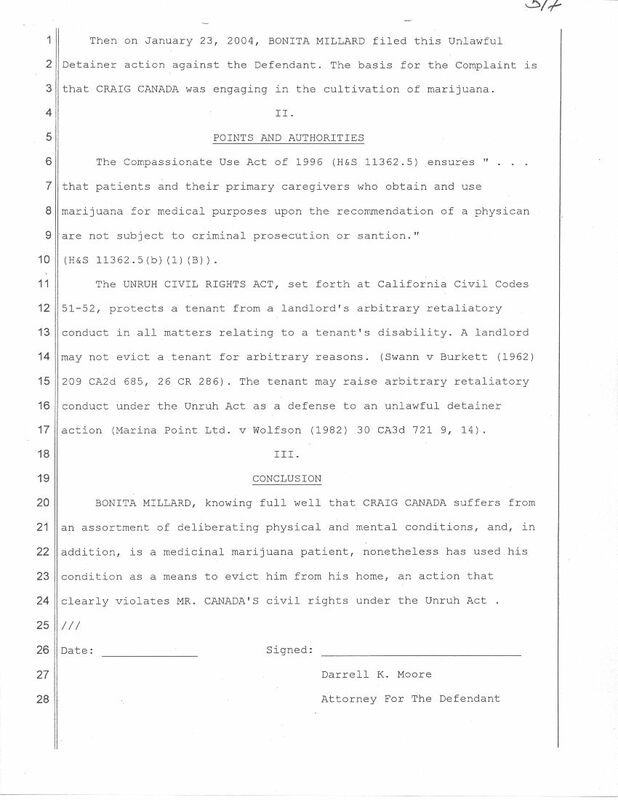 17  action (Marina Point Ltd. v Wolfson (1982) 30 CA3d 721 9, 14). 24  clearly violates MR. CANADA's civil rights under the Unruh Act.